Great view of Lansing Bridge over the Mississippi River from lot 4! 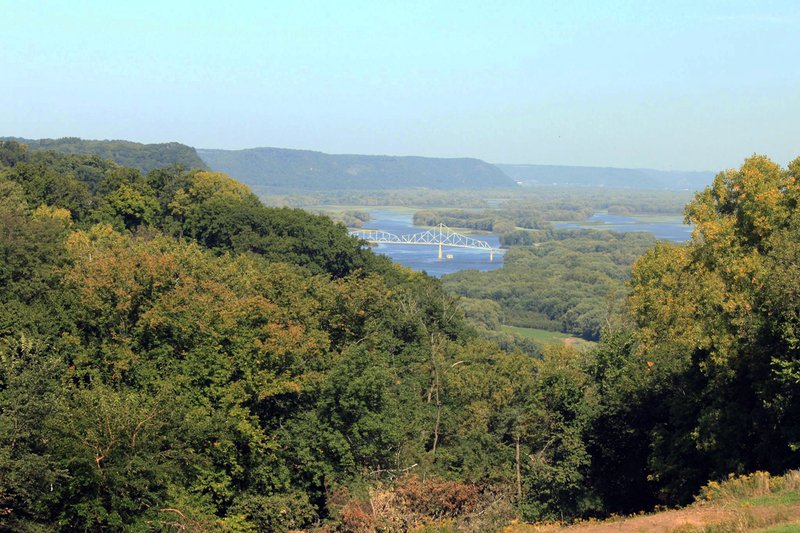 After completing some tree trimming to open up the view of the Mississippi River from Eagle Ridge Country & Riverview Estates; a spectacular view of the Lansing Bridge from Iowa to Wisconsin appeared from lot 4. View of the Lansing Bridge and the Mississippi River from Lot 4. Click to enlarge. Click here, to view the lots available for sale at Eagle Ridge Country & Riverview Estates. Stay tuned in for photos of the other land available for sale at Eagle Ridge Country & Riverview Estates. For now, visit photography for more pictures of the views of the Mississippi River and Lansing Iowa from the property for sale at Eagle Ridge.